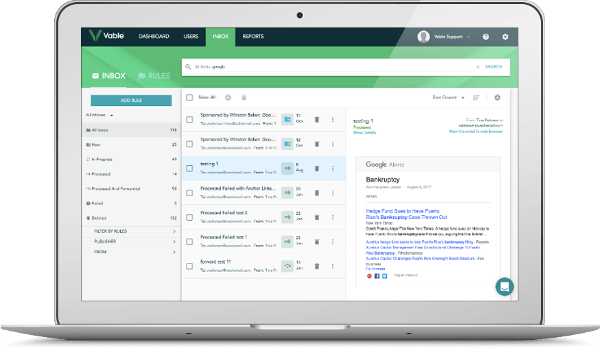 Vable Inbox is an email platform for managing and redirecting all incoming newsletters, alerts and e-journals within your organisation. Not only will it simplify user management, it also provides central management for your team, bringing visibility and collaboration for all admins. Vable Inbox tracking & reporting capabilities can also help you save money by assessing which paid subscriptions are not being used. There are no caps on the number of forwarding or redirect rules you can create.